Ek Tha Raja Ek Thi Rani is the story of the Royal Family of Ameerkot, which is headed by Rajmata and Rana Indravadhan Singh Deo (Siddhant Karnick). To cope with the loss of fortune faced, he marries Gayatri Seth (Drashti Dhami), the daughter of the state's biggest moneylender, Gopal Seth. This not only causes a scandal, but sets off a chain of drama events within the family and the royal servants, impacting them to change forever. At the heart of this drama is the relationship between Ranaji, who is still in love with his dead wife, and a commoner, Gayatri who now discovers that becoming a Rani does not necessarily have a fairy tale ending. It is a journey of Gayatri from being a girl with no future since she is a manglik to becoming queen of Ranaji's heart and of the people of the land! 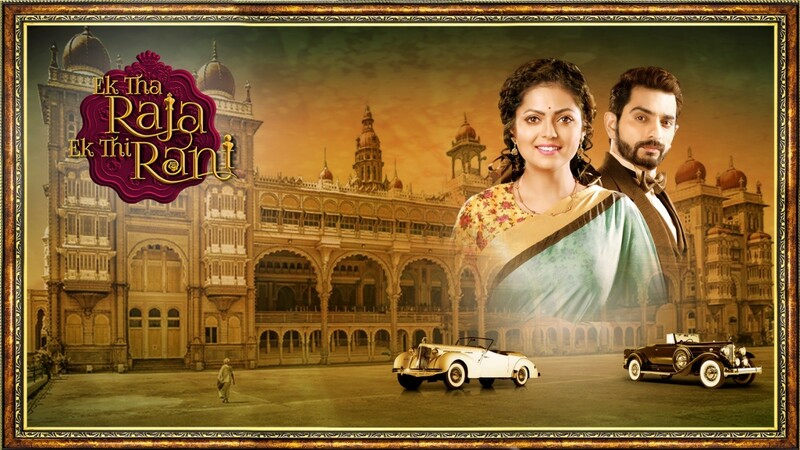 Ranaji starts developing feelings for Gayatri and so their relationship creates sparks within the palace. On one hand there are those that accept the two and on the other hand they are being torn apart by their very own in the palace.